Across every age group and in every area of the country, people will tell you “I’m so busy,” “I feel so much pressure,” or “I’m so overloaded.” From school-aged children facing classroom and extra-curricular demands and middle-aged adults working long hours to provide the best lifestyle for their families, to the older generation planning retirement or dealing with health-related issues, everyone is facing some type of demand. Have your home inspected for loose wires, shorts, and faulty wiring that increase the risk for potential electrical fires. Electrical wiring doesn’t last forever. This is especially true if you live in an older home. While older homes offer the grandeur or nostalgic feel some people are looking for, it’s important to check the walls for more than just the stories they may tell. Faulty wiring symptoms can include buzzing outlets, flickering lamps, or plugs that spark when you plug something in. Hire a certified electrician to give your home an inspection to ensure the wiring is safe or may be in need of rewiring. Install a smoke detector on every level of your home and inside each bedroom. Also, make sure the smoke detectors are working properly by testing them every month. Make sure that everyone in your home knows the sound of the smoke detector and knows what to do when it goes off. Have a fire escape plan in place and practice it with the whole household. Use safe cord practices in the home. Repair or replace loose, frayed, or cracked cords. Never place cords in high traffic areas, under carpets or rugs, or nail or staple cords to surfaces. Consider having additional outlets installed by an electrician; avoid using extension cords long-term. Place the correct wattage light bulbs in all fixtures. If the wattage is higher than the requirement, replace them immediately. Secure light bulbs in the socket to ensure they don’t overheat. Use a surge protector to protect appliances and other electronics in your home. ESFI says it is important that homeowners use a surge protector that matches the equipment you have and know that they only protect the items plugged into them. There are two basic types of surge protectors: the power strip with surge protector and the wall-mount surge protector. When buying a surge protector, find one that has the Underwriter’s Laboratories (UL) mark of approval and avoid overloading it. And remember, just like other items in the home, surge protectors get old and should be replaced, especially if your home experiences a large surge or frequent power surges. Store flammables away from electrical appliances. Establish a safe, designated area for flammable chemicals in your home. As the weather chills, portable electric space heaters pose a high risk, and don’t forget about the risk of lamps, hair dryers, curling irons, or clothes irons. Blankets, rugs, or towels can quickly ignite and start a fire. Place a fire extinguisher in all common areas of your home. The National Fire Protection Association says a multi-purpose extinguisher that can be used on all types of home fires and carries the label of an independent testing laboratory is the best choice. Household fire extinguishers are classified A, B, or C, or most commonly, a combination of these three. So, look for a multi-purpose fire extinguisher that carries the “A,B,C” classifications at your local home store. Read the instructions on the fire extinguisher so you are ready to use it in case of emergency. Also, make sure everyone in the home knows how to use it. While fire extinguishers are great for small fires or containing a fire until the fire department arrives, never forget that the number-one priority is to get you and your family out safely. Prevent electrical fires caused by arcs by installing an Arc Fault Circuit Interrupter (AFCI) breaker in your home. We’ve all seen the intended arcs produced by welders, but an arc in your home is unplanned and can ignite disaster. Arcs in your home’s electrical system occur when an electrical current flows through an unintended path producing a sudden, high temperature in electrical wires. When this happens, the extreme high heat can easily ignite wood framing, insulation and other combustible materials surrounding it. This can spell disaster for homeowners! The National Electrical Manufacturers Association says having an AFCI breaker provides greater fire protection for homeowners than a standard circuit breaker. An AFCI monitors the circuits in your home for the presence of “dangerous” arcing conditions and instantly disconnects the damaged circuit before the arc has time to build enough heat to cause a fire. In 2008, the National Electrical Code included requirements for new homes to have AFCI protection. However, the code varies from state to state and older homes are at greater risk due to aging electrical wiring. 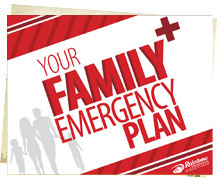 An AFCI is not overly expensive but can offer you peace of mind that your family is safe. Have a qualified electrician install the AFCI breaker since installation involves working within electrical panel boxes. No matter how busy you may be, taking a few minutes to look at your home’s risk for electrical fire is time well invested. Prevention is the key for protecting your family and home from the dangers and disaster of electrical fire and the need for Rainbow International fire restoration services in the future . For more information about fire safety and prevention, visit Electrical Safety Foundation International and the National Fire Protection Association.